Most people would agree that digital money is the next big thing, which is probably why many people are investing in cryptocurrencies, but there are a few considerations. This new generation of currency exists online, so there are some risks worth pointing out like hackers. These criminals make this digital world a little more dangerous for regular folks trying to join the movement. The following are some of the tools hackers use to steal tokens. 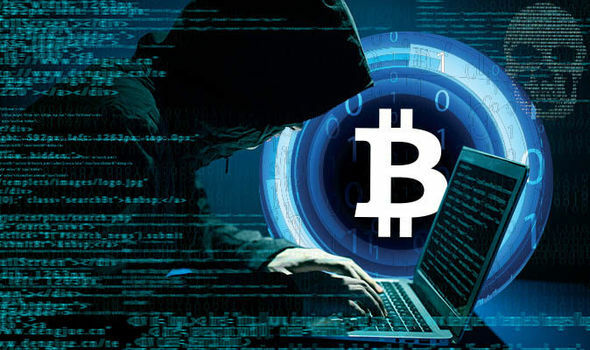 One of the tools hackers use to make cryptocurrency owners more susceptible to their tricks is unsecured apps. Many people look for applications in the Google Store and App Store to make things easier, which makes them so attractive to cryptocurrency owners since this world is a bit complicated. Well, hackers know this and create apps that can be used as a weapon against you, and it could cost you your tokens if you are not careful. This is the reason it is recommended that you do not install apps that are not absolutely needed. Of course, you should also make sure you install a two-factor authorization identification for apps related to your cryptocurrency. Additionally, you should not automatically trust links sent to you. It is better that you verify all links on the official site before interacting with said link. Cryptocurrency thieves are also creating bots that are sent to crypto owners through messages. These bots notify owners of an issue concerning their tokens. Of course, the owner worries and may end up clicking the link that was sent to them, which is what hackers want. The owners end up giving up private information, which the hacker uses to gain entry to a wallet. There are many steps you can take to prevent this from happening to you like ignoring bot activity and blocking a bot that attempts to scam you through messages. You should be sure to install security such as malware security and anti-virus program to help you stay safe. Try to learn everything you can about cryptocurrency wallets, so you can match your wallet with the security you need. Ideally, the best way to avoid this danger is to simply stop downloading add-ons, and you should do that when you can, but that may not always be possible. Those who absolutely must download add-ons should consider using a separate browser whenever you are logging into your wallet and using this add-on. To be safer, try to use a different PC or smart device for your crypto-trading when you have add-ons because extensions can be used to read what you are typing and doing. Of course, there are a number of additional tools that hackers use to steal money from you besides some of these that are worth pointing out. For one, some hackers use duplicate sites, which are meant to imitate an official site. What you want to do is pay attention to the link you are visiting to make sure it is what it is supposed to be. You also want to make sure you are cautious when visiting any of your crypto-related sites when using public wi-fi just to be safe.